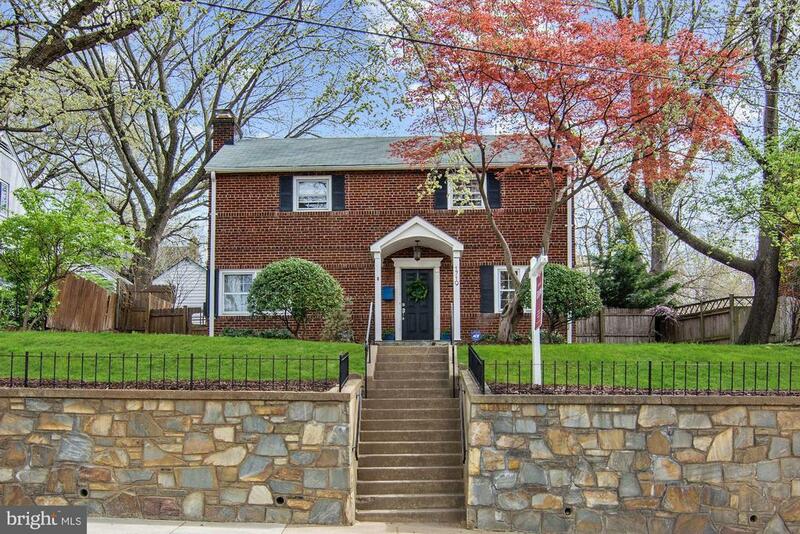 Grand 3 level colonial in Waverly Hills with welcoming portico and slate sidewalk. Hard wood floors through main and upper levels. Freshly painted formal living room with handsome fireplace hearth. Updated, eat-in kitchen with granite counters and stainless steel appliances. Versatile sun room for work, play or dining. Lower level offers entertainment, office and storage space. Full spa bath that has been remodeled from top to bottom. Private, landscaped terraced back patio. Alley access has parking for 2 cars and a garage. Minutes to Ballston Metro, new Ballston Quarter, and vibrant shopping and dining district with more revitalization underway! Wonderful parks and trails close by!